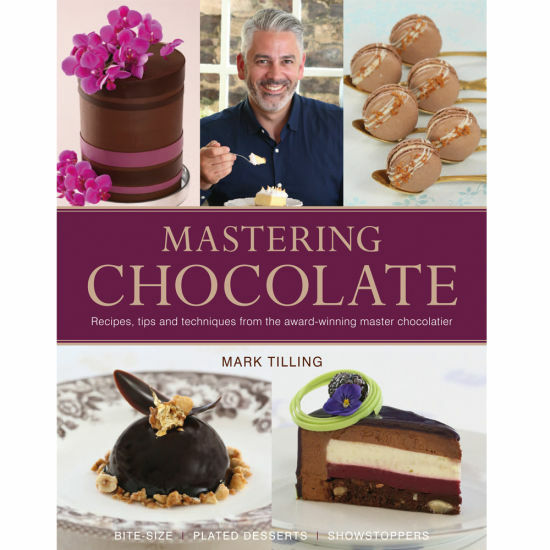 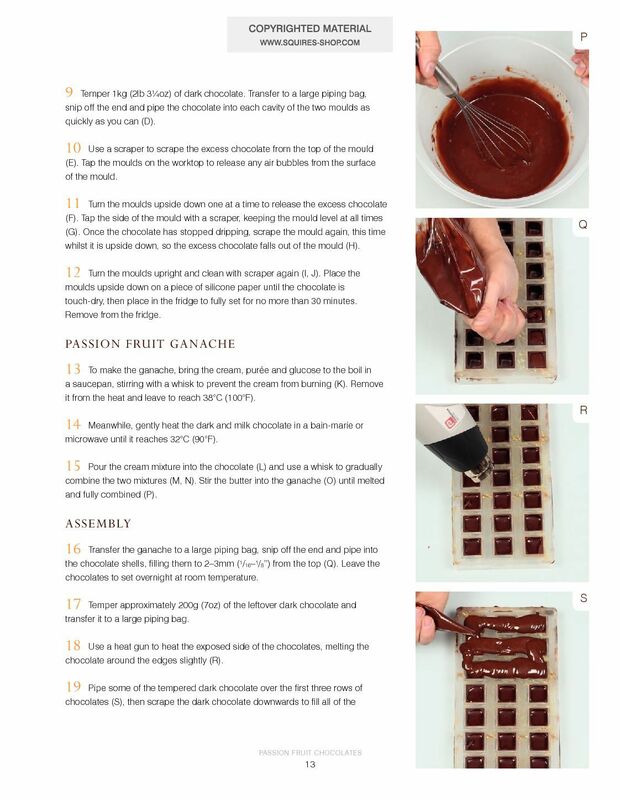 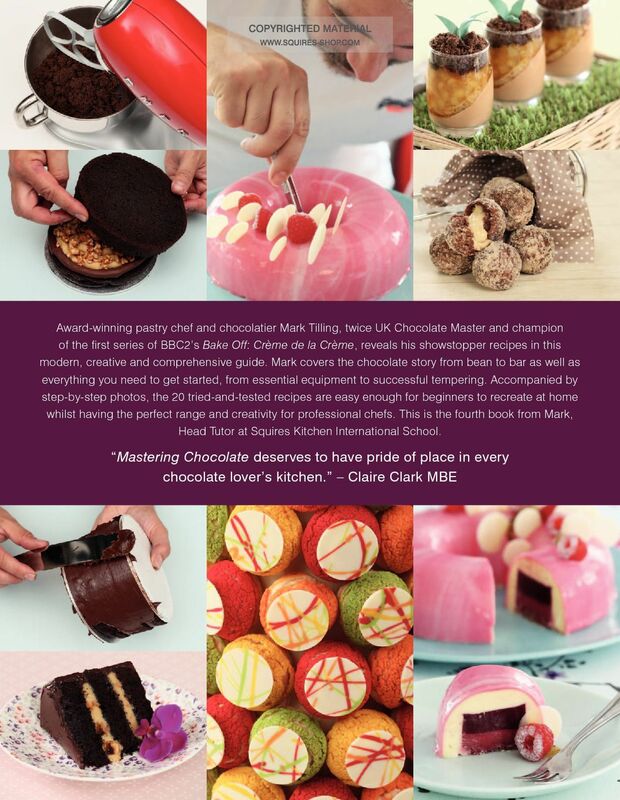 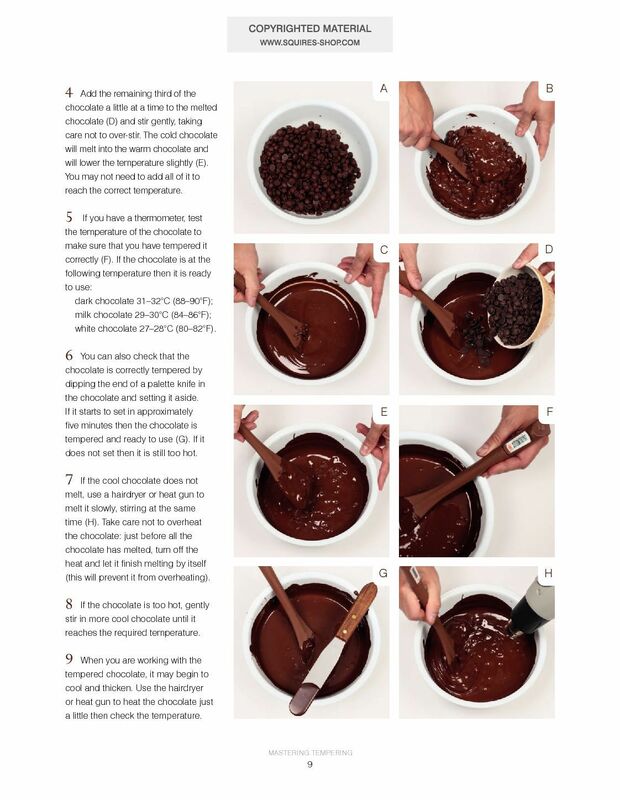 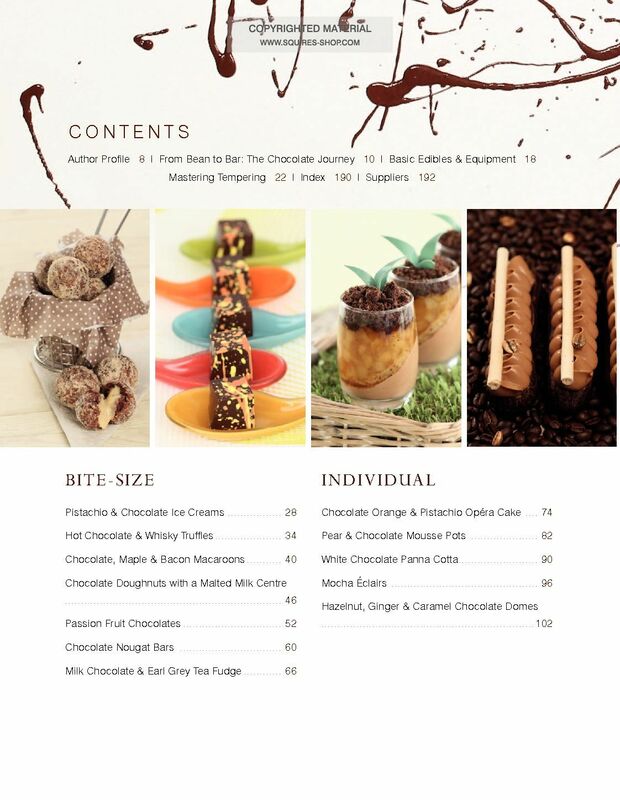 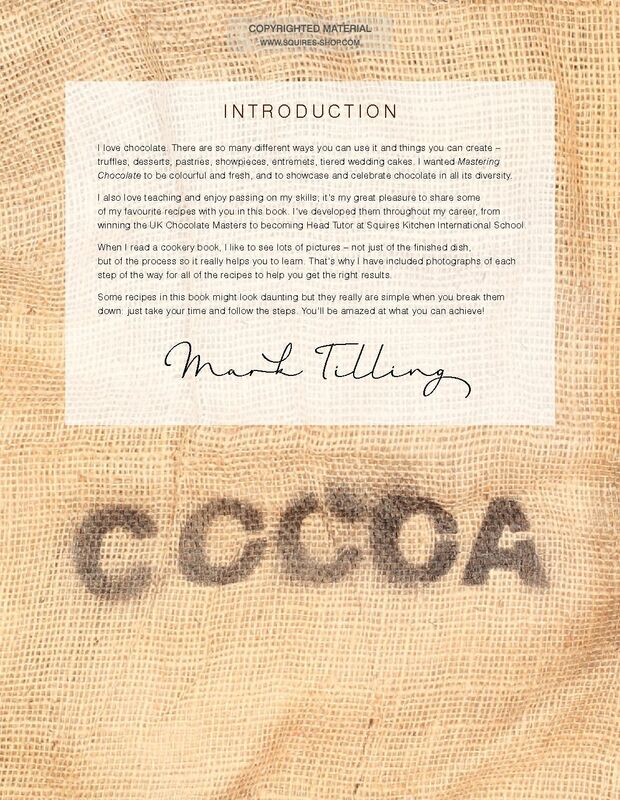 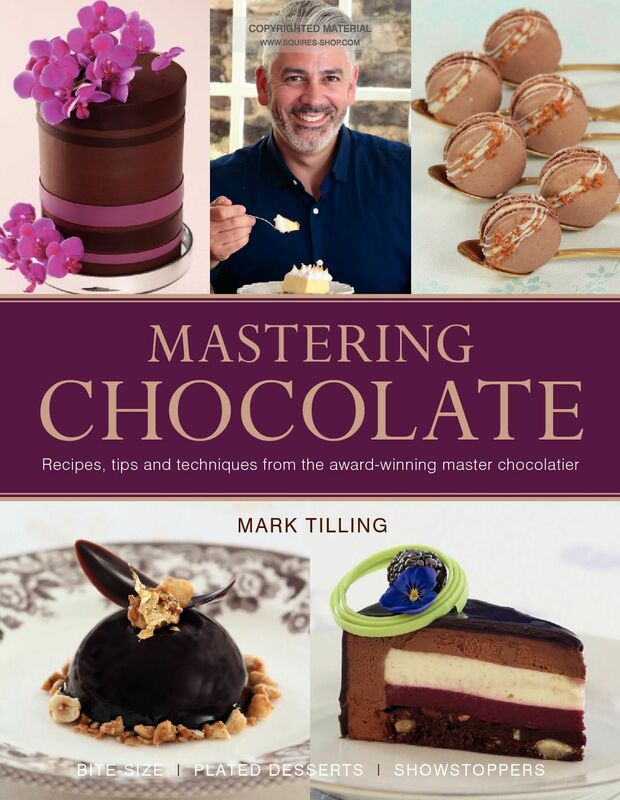 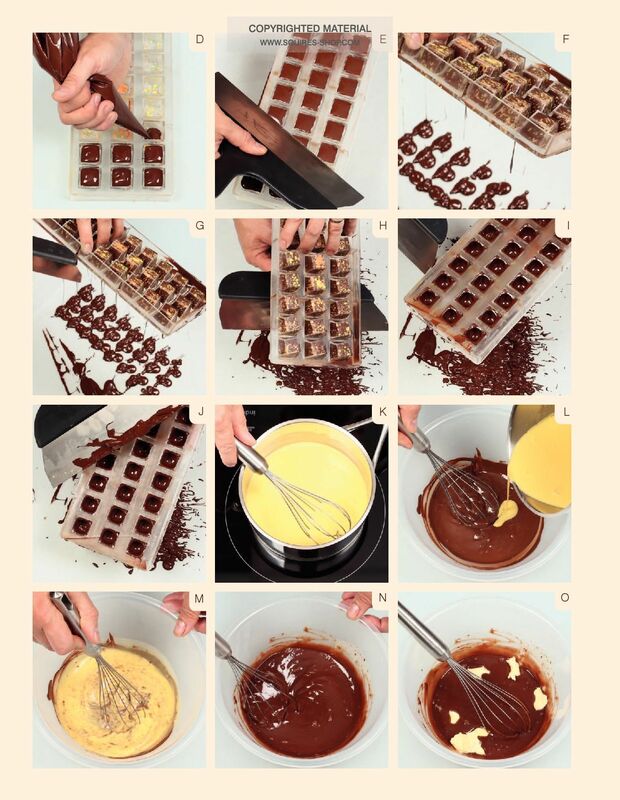 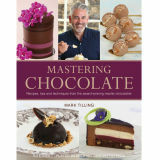 Award-winning pastry chef and chocolatier Mark Tilling, twice UK Chocolate Master and champion of the first series of BBC2’s Bake Off: Crème de la Crème, reveals his showstopper recipes in this modern, creative and comprehensive guide. 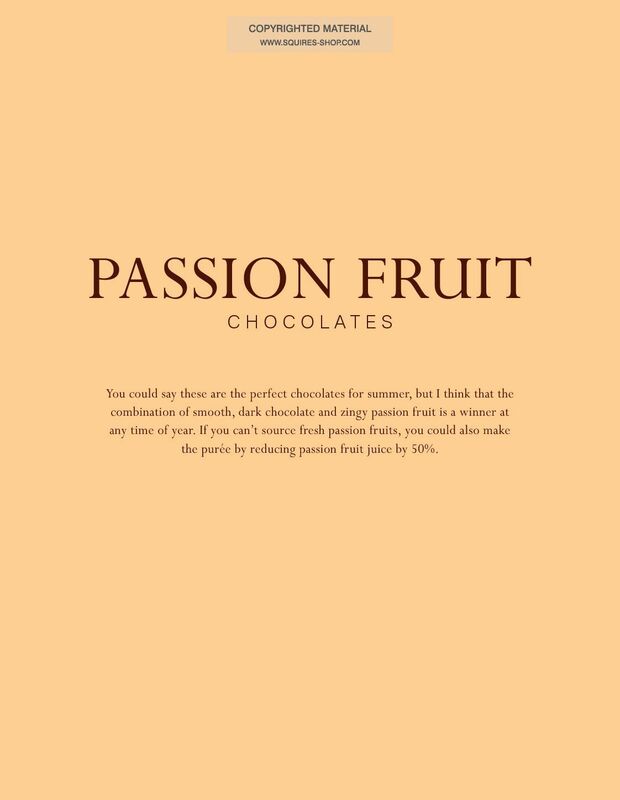 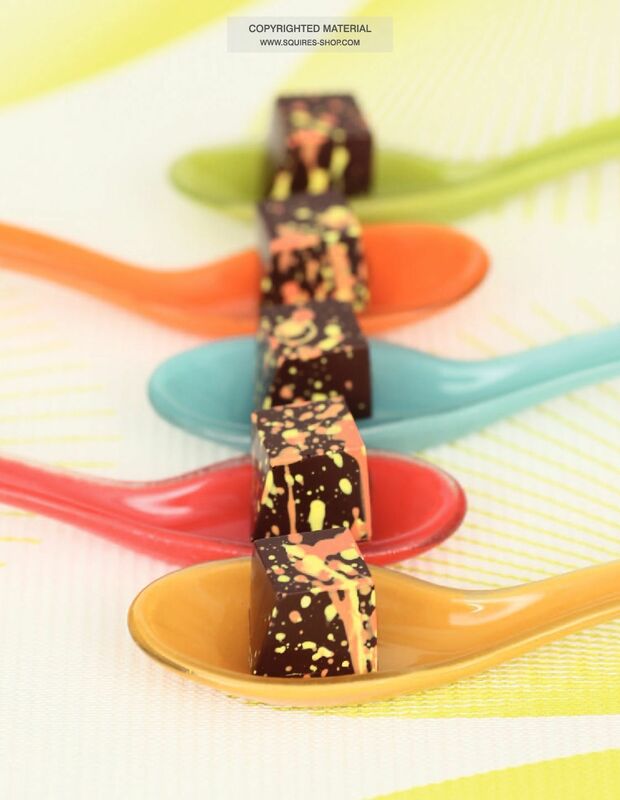 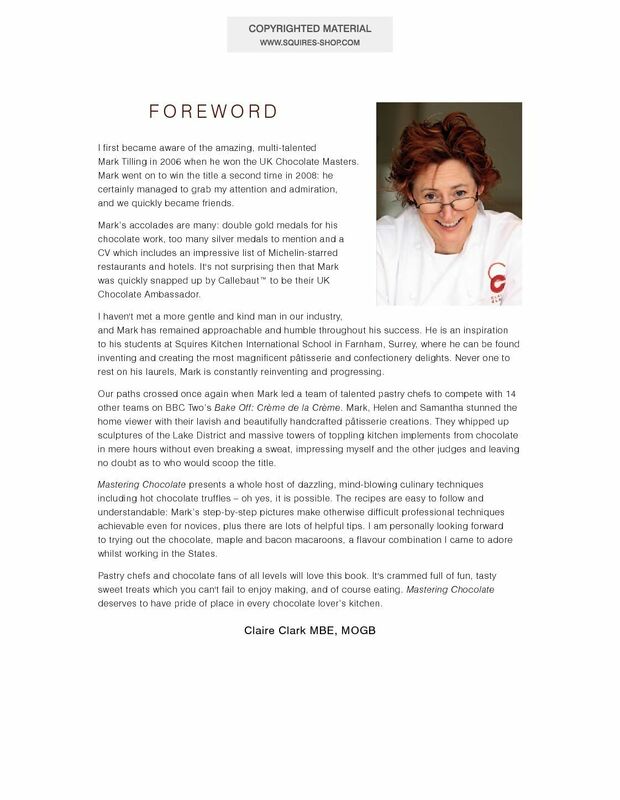 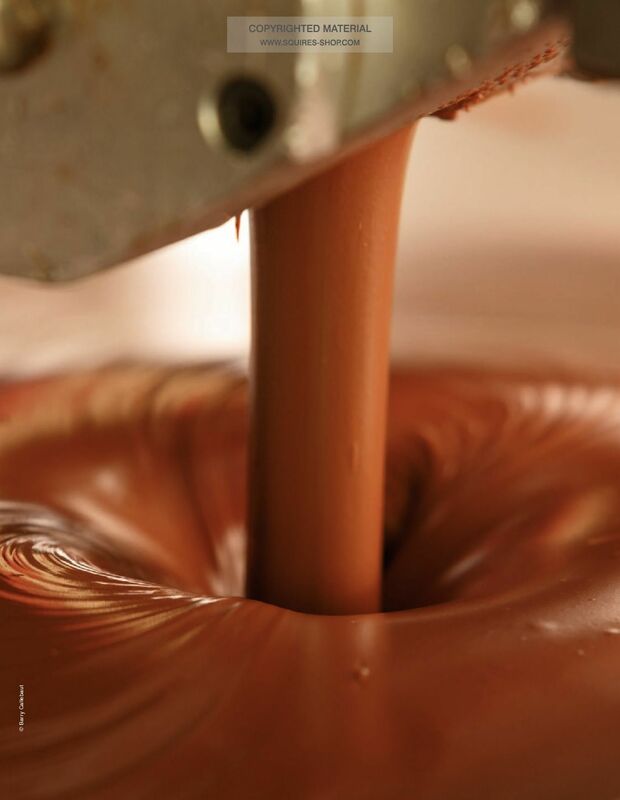 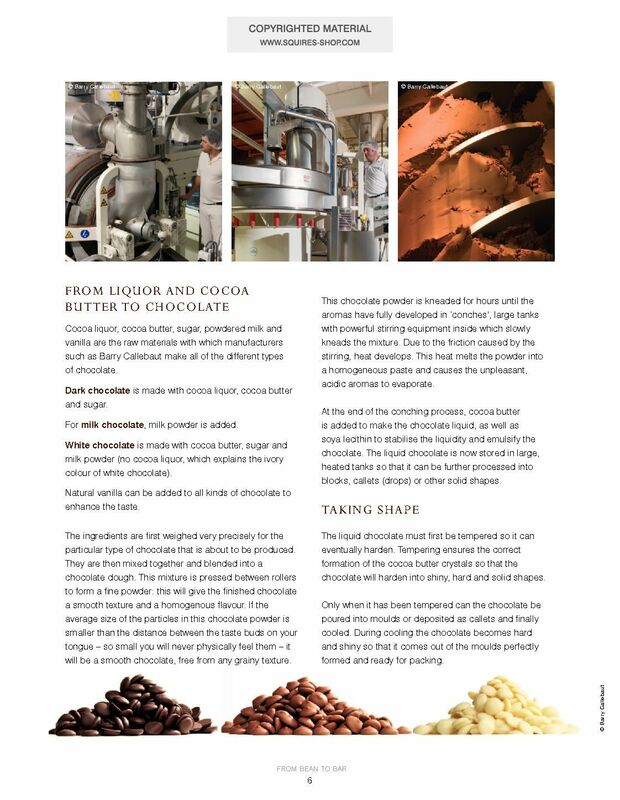 UK Chocolate Ambassador and Head Tutor at Squires Kitchen International School, Mark covers the chocolate story from bean to bar as well as everything you need to get started, from essential equipment to successful tempering. 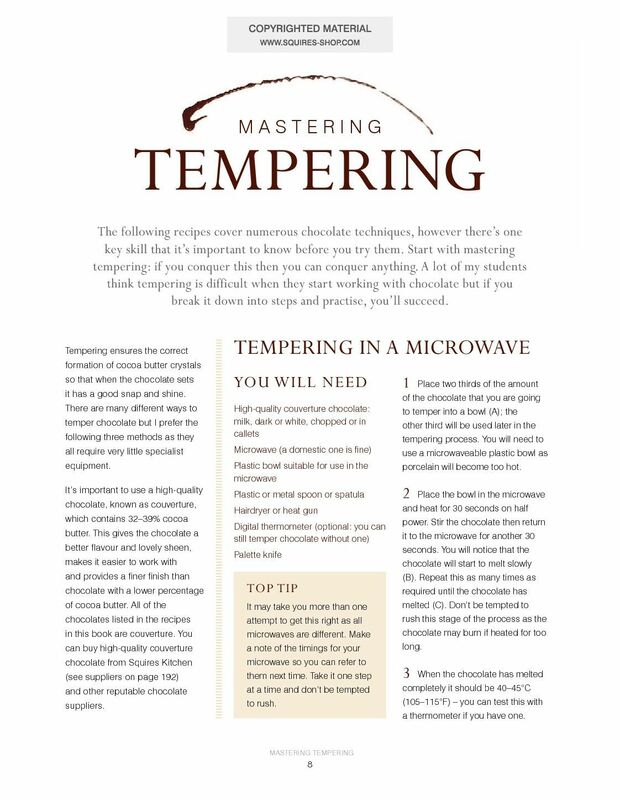 Accompanied by step-by-step photos, the 20 tried-and-tested recipes are easy enough to tempt beginners whilst having the perfect range and creativity for professional chefs. 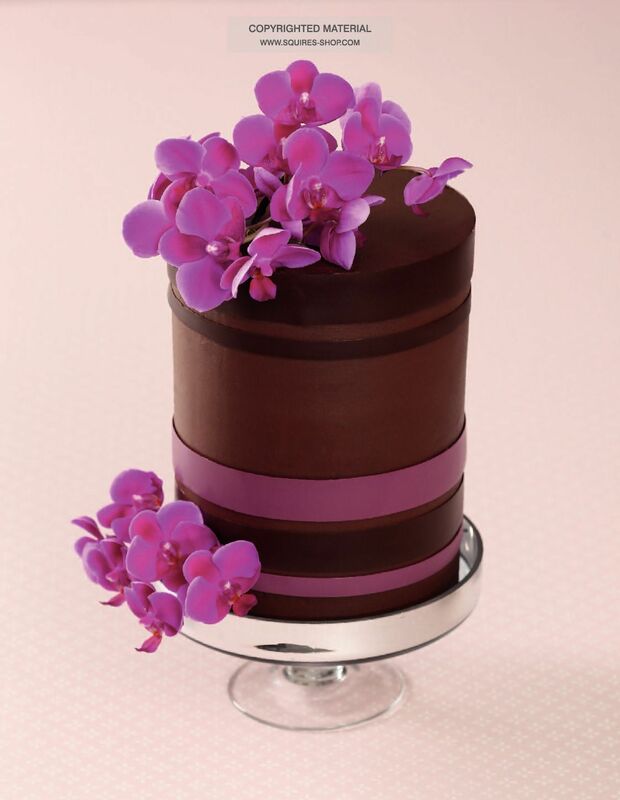 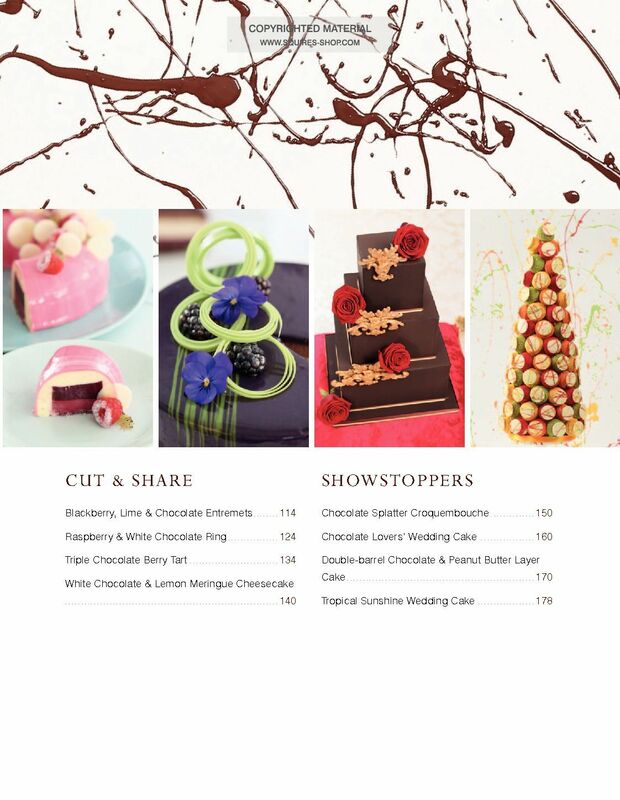 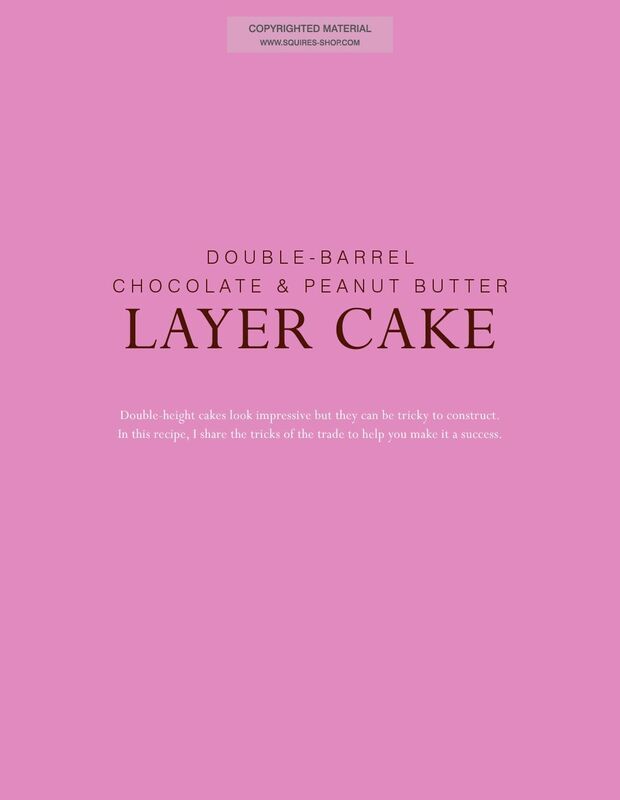 Ranging from simple treats like Hot Chocolate and Whisky Truffles and Triple Chocolate Berry Tart to the showstopping Chocolate Splatter Croquembouche and Chocolate Lovers’ Wedding Cake, there really is something for everyone. Whether you’re cooking for friends, making delicious gifts or creating a wedding centrepiece, Mark’s expert tips and techniques will help you melt, temper and mould your way to showstopping chocolate success.